We knew traveling was our passion when we met. But, it has truly become a life-changing experience. The sights, sounds, and foods that can be experienced by just getting out there are amazing. The feeling alive has never meant more to me than it has since we have really set our goals on traveling the world. This time we decided Yokohama, Japan would be a great destination. Being from the US and not of Asian descent, we also have an interest in an entirely different culture than anything we have experienced. And, Japan didn’t disappoint. The first thing we noticed right away was the humidity and big city smell. And, another observation was that I was a tall blonde amazon compared to the locals. Something I hadn’t given much thought about until I was in the thick of it. This city is very close to Tokyo and lends itself to foreign visitors by using writing characters we can understand. If you get off the beaten path to some of the smaller regions, you will not see characters that we are used to reading. 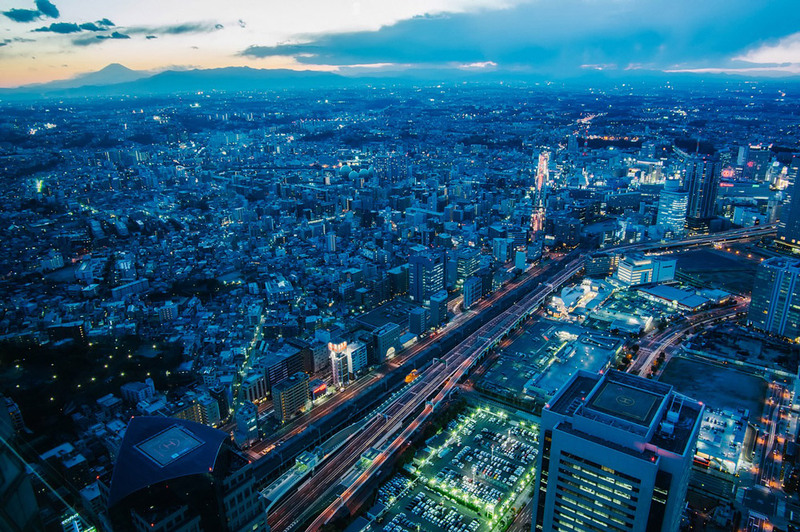 There are so many things to do in Yokohama, but be sure to leave a lot of time to just walk around. That’s what we did mostly, take in the surroundings, the people and the culture. They have vending machines for just about any and everything and the shopping is amazing. The subway or train stations are layers deep with all kinds of shops and things to see. There are trending little coffee shops and bistros. We found a great little pub that was in the original “red light” district area, so the bartender told us. And, it would seat about 12 people in total, which was not uncommon. The bars and restaurants are small, something we didn’t see a lot of people mentioning. This particular bar was “American Themed” which was pretty funny. They had a lot of American music but no Jimmy Buffett, so, we fixed that before we left. This is a great example of the sheer amount of shops that are in Yokahama. This place is huge and the sculpture in the front is giant. And, it offers some beautiful views of the city. It was a nice enclosed place with air conditioning was welcoming on a hot day. This was a great look at history as well as a nice view of the Ferris Wheel. This place had beautiful views and an old ship. But, the best part was grass! Something in this city that you don’t see a lot of unless you go to the temples or out parts of town. The coastline was beautiful. 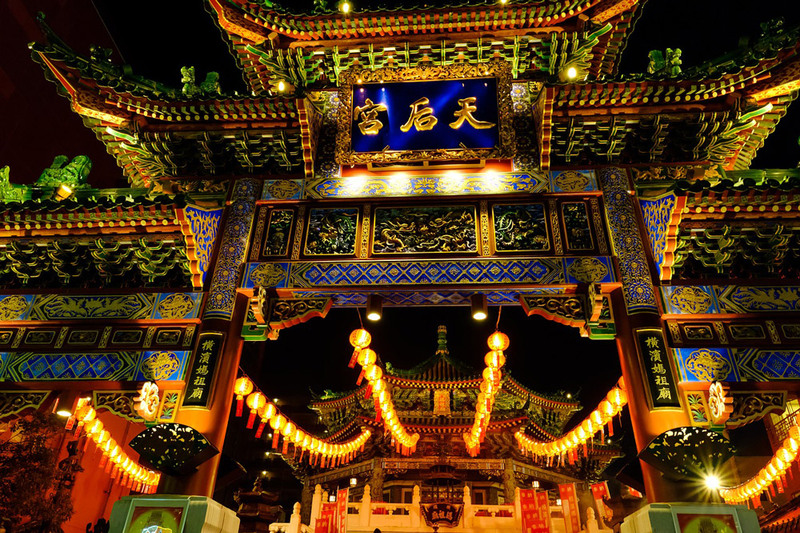 Explore the largest Chinatown out there. The vibrant colors and food smells are to die for. This is a place to come with an empty stomach. The arches or entrances are truly beautiful. It is something to see for sure. Another great place by the water with grass and ocean, what could be better! Beautiful place to sit and get away from all the people, did I mention, there are a lot of people in Yokahama. 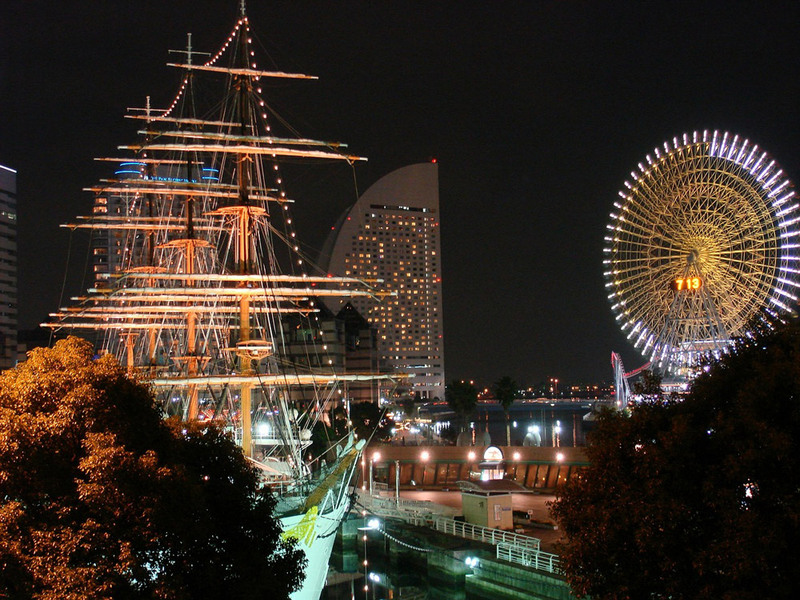 If you ever have a chance to visit Yokohama, Do IT!